The Normansfield Theatre is located in the Langdon Down Centre. The Centre was previously the theatre wing of Normansfield Hospital, a medical complex run by Dr. John Langdon Down, who performed research into what is now called Down’s Syndrome. The performance space was originally used for theatrical performances from the staff and residents of the hospital, and also for the Sunday service. The hospital and theatre wing were separated in 2003. The building was restored in 2010. 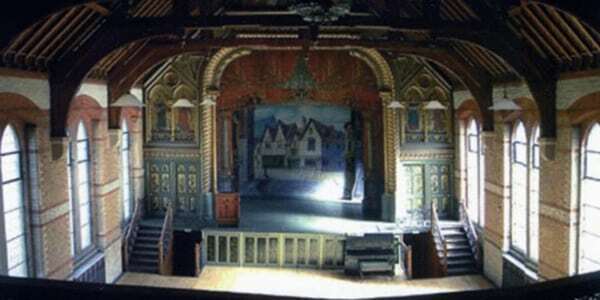 The 150-seat theatre currently plays host to a variety of events, including music, comedy, visiting companies, and amateur societies.